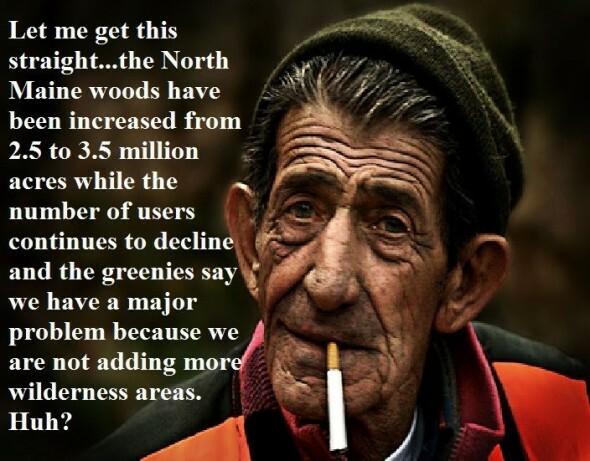 Tired of hearing one more idiot talk of the viable reasons Maine should give up, or allow to have taken, more than 3 million acres of forest land, unfortunately we are subject to another ignorant speech about why giving all this land to the Federal Government is going to protect the Canada lynx. When will this garbage end? The author of an opinion piece, says that the number of lynx in Maine has fallen, “from 1,000 individuals a few years ago to now around 500 to 750 ghost cats.” Is that so? If this is so, then why not provide that scientific data to substantiate the claim? That’s easy to answer. There is no data. Statements like this are pulled out of thin air (or other areas of human anatomy) and repeated….therefore it must be true? I happen to know, from a very reliable source, that biologists, at least in some government positions, have been told to never state there are more than 500 Canada lynx. That 500 number is magical and insures that money continues to flow for studies and the protections for the cat, needed or not, continue. So long as there’s money to be made, there will never be more than 500 Canada lynx. The truth is, there is yet to be any hard data to substantiate any claim to the Canada lynx population in Maine. Unofficially, (and with no official data) it has been stated often that Maine has the highest population of Canada lynx than any other state of the Lower 48 – because Maine has snowshoe hares and no other reason. The other ignorant comment made by the author is, “the Canada lynx population has fallen as a result of accidental trapping deaths and habitat loss from selective logging in the North Woods.” Only a person without a clue, could make a statement like this. If the Canada lynx population has fallen, as the author claims, it wouldn’t be because of the planted, 4, dead lynx in traps that triggered the implementation of the agreement in the Incidental Take Permit that required trapping to be reduced to exclosure traps. On the contrary. All conditions being the same, I’m sure the lynx population continues to grow and will grow until the snowshoe hare disappears. History proves that. And what of that habitat? Does the author even have a clue about what kind of habitat is good for the lynx? Has the author ever talked with any real expert or done any research? Doubtful. The Canada lynx prefers the snowshoe hare to eat. Where the habitat is good for the hare, it’s good for the lynx. It’s good, right now or has been, because of the millions of acres of forest that has been cut and was cut in the North Woods to mitigate the last outbreak of spruce budworm. It made prime habitat for the snowshoe hare. The hares moved in and flourished, followed by the Canada lynx. When the hares are gone, so will the lynx. However, ignorant people, like the letter writer, will blame it on logging and trappers because that’s the romance biology they have had shoved down their throats since birth. Unable and incapable of thinking for themselves, they simple open their mouths and swallow. The truth be know, more than likely, a 3.2 million acre wilderness Federal Park would be the worst thing for the Canada lynx and other species. But don’t go look! Don’t think for yourself! Don’t do any research yourself! Just accept the lies you are told and then make a public display. For decades the rigged system many people wrongfully label a democracy or a constitutional republic, has worked at every opportunity to prohibit hunters, trappers and fisherman from as much access to land as can possibly be done. At the same time efforts exist to ban hunting and rob people of their right to keep and bear arms. If they can’t do this outright, they will accomplish the same through what is often called incrementalism or back door regulations to chip away at any and all aspects of hunting, fishing and trapping, including land access. Then along comes another effort to put an end, at least to some degree, to the continued prohibitions against land access and those who helped to build the rigged system cry foul and claim preferential treatment. It appears that in this bill there are provisions that contradict the existing laws surrounding “wilderness” regions – those areas set aside as preferential treatment to only those wishing to see access to federal lands restricted to specific groups or individuals. And herein we see the hypocrisy and elitist attitudes coming out from those who promote “wilderness” for their own selfish purposes. Please understand this. As it exists now, within the rigged system developed and designed to eliminate hunting, fishing and trapping, preferential treatment is being promoted by restricting activities by some in order to promote the desires of others in an exclusive use – and they fear such a bill would be preferential to hunters and fishermen. Also understand that that those who seem to believe they have a right to own and restrict others, lament that such a bill would cause problems because their choice in recreational activities might be infringed upon in order to accommodate others. This is the result of years of brainwashing that hunting, trapping and fishing is bad and shouldn’t be allowed, giving people the false belief that they have exclusive rights to use the land and that right shouldn’t be at all restricted in order to accommodate others. This is the epitome of blind selfishness. *Update* – January 13, 2014, 3:45 p.m. Scroll to bottom of page. 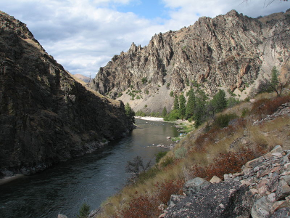 Recently the Idaho Department of Fish and Game(IDFG), along with the U.S. Forest Service, provided for a person to go into the Frank Church River of no Return Wilderness for the purpose of eliminating 2 of the 6 packs of wolves living there. The major reason given is that too many wolves are destroying too many elk. 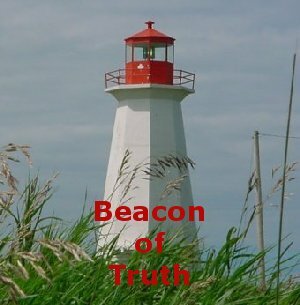 Environmentalists are having a fit and have launched a lawsuit to stop the action claiming that because the Frank Church is designated “wilderness” it is, “supposed to be a wild place governed by natural conditions…” Is that a justifiable statement and one that has been adhered to? Surely it would be difficult to argue that upon designation of any “wilderness” areas in any U.S. held territories, it is impossible to find any areas of land where man has not been, at least to some extent. Therefore, upon creation of a label, to be placed on a piece of land as “wilderness”, how can it be truly wilderness, even by definition of “an area where the earth and its community of life are untrammeled by man, where man himself is a visitor who does not remain?” It obviously can’t be and so a starting point must be established. Natural condition? What is a “natural condition” and by whose standards and perspective does a “natural condition” exist? The Wilderness Act further defines “natural condition” as, “generally appears to have been affected primarily by the forces of nature, with the imprint of man’s work substantially unnoticeable.” Two arguments could be made from this one statement: 1.) Perhaps the Frank Church didn’t qualify for wilderness designation because according to some, man left his imprint by killing off the wolves many decades ago. I would consider that substantial when you consider the destruction wolves cause, and 2.) If Congress see to it that the Frank Church did qualify as a wilderness, then, was man’s imprint responsible for killing off the wolves in that area? Again, that’s substantial. If not, then didn’t man mess up and further expand his imprint by introducing wolves? When does this all end? Or does it and can it be due to the wording of yet another vague act that leads us to believe that all are designed for lawyers and somebody’s profit margins. If we abide by the premise that at the point the Frank Church was designated a “wilderness”, nothing should change from the best possible scenario of it being in a “natural condition” at that moment in time. From that time man should not “trammel” the wilderness and that man should be nothing more than a visitor. It appears that from the perspective of some environmentalists, they want the wolves, wilderness and “trammeling”, I suppose thinking that so long as they can create the wilderness as they believe it once was, or should be, right or wrong they are abiding by the contents of the “Wilderness Act.” However, when anyone else, that is those who are not “all in” with protecting wolves at any and all costs, attempts to manage or manipulate the “natural condition” of the Frank Church, they deserve to be stopped by filing a lawsuit. I’m not sure that the Wilderness Act states that an area of land will be designated a wilderness as soon as it is returned to its “natural condition”; and when was the very first “natural condition?” And what was that condition? In addition, does the Wilderness Act also state that every effort, or even any effort, should be made to restore a “wilderness” to someone’s perceived notion of what it was like back when…….when…..well, I don’t know when. I guess someone with the money and power gets to decide and thus the lawsuit. If we accept that premise, then wasn’t the Wilderness Act violated when it was decided in January of 1994 when 4 wolves were released at Corn Creek on the edge of the Frank Church and again in January of 1996 when 20 wolves were dumped at Dagger Falls, also at the edge of the Frank Church? Clearly the intent of releasing the wolves here was in hopes that they would move into the Frank Church and set up housekeeping. And did those who released the wolves know they couldn’t dump the wolves directly into the Frank Church? Or did they do it anyway? Some believe they did. Even if we are willing to accept the notion that releasing wolves into the Frank Church was a management process that somehow kept the Frank Church in a “natural condition”, then how can it be denied that man is necessary for the proper management of wildlife? How can it then be said the IDFG has no right to manage the rest of the wildlife in that wilderness? It makes no sense. If man became necessary in a “wilderness” area, by the wishes of those involved with wolf introduction, to introduce wolves, then how can one honestly argue that man is not necessary in a “wilderness” area to manage other species such as elk? Isn’t the survival of the elk part of the “natural condition?” If it’s not, then neither was introducing wolves. Perhaps “natural condition” is never stable. 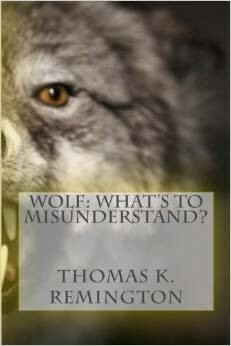 The “natural condition” of the Frank Church was determined on the day the U.S. Congress designated the 2.367-million acres “wilderness.” That “natural condition,” by definition of the Wilderness Act, was violated on the day wolves were introduced into the Frank Church area. Are we now supposed to redefine Frank Church’s “natural condition” on the whims of environmentalists whose main objective is to make as much money as they can suing the government? If one wants to make the argument that now that wolves are in the Frank Church, this begins a new “natural condition” starting point, then the same argument can be made that killing some wolves in order to protect the “natural condition” starting point prior to wolf introduction, is just as necessary and viable. And this is much the hypocrisy we see on an everyday basis with environmentalist and animal rights groups; they want their cake and eat it too. When they don’t get their way they sue. 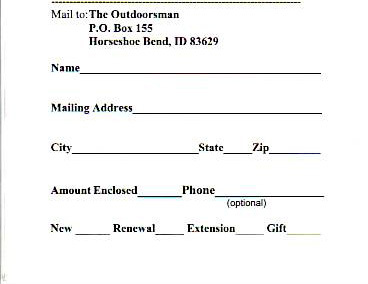 I have my doubts as to the real motives of the Idaho Department of Fish and Game(IDFG). While some are congratulating the effort to hire a trapper to go into the Frank Church and kill wolves to save elk, I’m more of the skeptic who still finds it difficult to believe that a zebra can change his stripes. Has anyone considered the possibility that IDFG’s actions play into the hands of the environmentalists? That these groups want or need a reason to sue, to make more money to bring more lawsuits to protect their wolves, and on and on it goes? Certainly this is not a new idea! As with the Endangered Species Act, it is so poorly defined allowing lawyers to twist and manipulate, now are we to expect these same environmentalist crooks to manipulated the Wilderness Act for profit? What double standard, hypocrisy nonsense! To bolster my article above, if those suing Idaho and the Forest Service claim that “large-scale removal of wolves” from the Frank Church, threatens to “change the character of the large wilderness area,” what in the hell did these morons think introducing wolves INTO the Frank Church was going to do, if not “change the character” of the wilderness that then existed? Last week a story broke out of Maine about a man, who at the age of 20, decided one day to just walk into the woods and disappear. 27 years later, he was arrested for stealing food and other supplies from a nearby camp for disabled people. It’s a fascinating, bizarre and inexplicable story of a man who built himself a compound on the side of a hill in the dense forest and eluded law enforcement for 27 years. Everything he needed for survival he stole; mostly from camps nearby and surrounding North Pond. He averaged about 40 break-ins a year and a favorite target, Pine Tree Camp, was where he got caught. There appears to have immediately developed the somewhat romantic sympathy among the people for a man “living the life” away from it all and of course being able to elude the strong arm of the law, never hurting another, other than taking what didn’t belong to him. Cheering for the underdog came to an end last week. He didn’t know why he walked into the woods one day or much of everything else he did. He talked one time briefly to another human during the 27 years. There was quite a legend that had been amassed over the years as over 300 camps and seasonal residences within walking distance of his wilderness compound were at the North Pond Hermit’s disposal and regardless of the perpetuated myths of this man, hermit, thief, and hero, law enforcement couldn’t catch him…..or never really tried. It took 27 years before one Maine Warden thought up the idea of an alarm system that would notify him when someone had broken into the Pine Tree Camp. BRILLIANT! And that’s where Christopher Knight, known as a nerd in high school, met his capture. And it only took a few hours before Troy Bennett composed a song about the “North Pond Hermit” and it appears below on video. The North Pond Hermit from Troy R. Bennett on Vimeo. So, where have the declines in visitor days come? From some surprising places. Think eco-tourism. Visitors days by canoeists have steadily declined from 23,850 in 1999 to a shockingly low 4,755 in 2012. Given that this region includes the storied Allagash, this is hard to believe. I remember the bitter battle over attempts by some interests to reduce access to the Allagash Wilderness Waterway. Turns out they had nothing to worry about. While access remains at most of the traditional places, visitors have abandoned the AWW in droves. I am not very much of an Aldo Leopold fan, nor am I much of an idealist as are most fans of Leopold, Muir, Roosevelt and others. When hunting in the woods, as I did this past November, early on, even though much of the terrain I cover is the same terrain I and others like me and those before have tread, I sometimes desire to escape to a fool’s paradise, imagining I am some place no man has ever been. One day I reached a place. It was ever quiet. The sky was deep blue, a light breeze and seasonably warm was the air. Nature’s breath smelled earthen, full of rot at times blended with brief whiffs of sweet fern. In the distance I distinguished the bubbling and crackling of a brook. Dead leaves would drift lazily to the ground as the gentle and yet invisible zephyrs took control, seemingly to steer the leaves where God could best make use of them. I must be there. I must have reached that happiness that exudes when a man believes he has stood where no man has mounted before. Okay! This is all made up stuff. 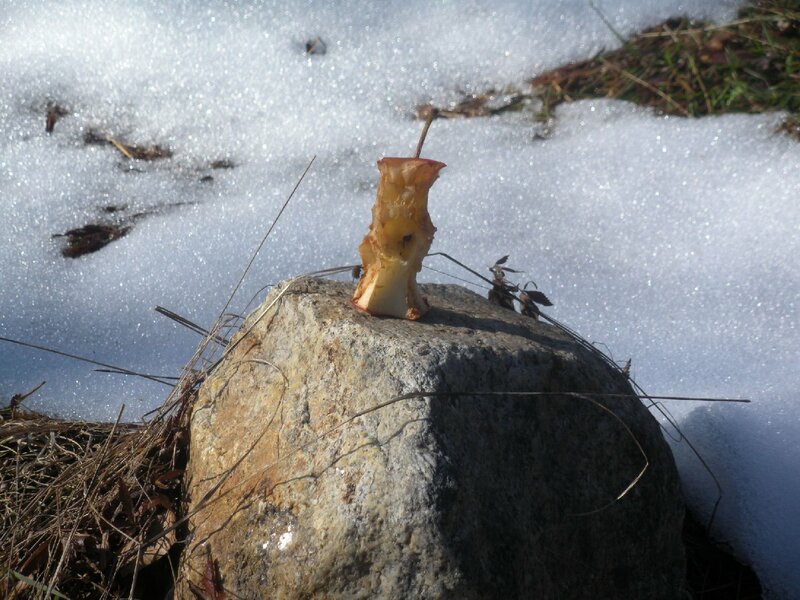 None of this really happened but I was surprised when I reached a place where I knew few, if any, hunters probably made their way only to discover perched on a small rock just to my side was an apple core. Judging from the picture, it hadn’t been there too long as some of the apple still appeared white and the elements hadn’t taken the fruit from its lofty perch. Sometimes we can be just as surprised with what we see as what we don’t.